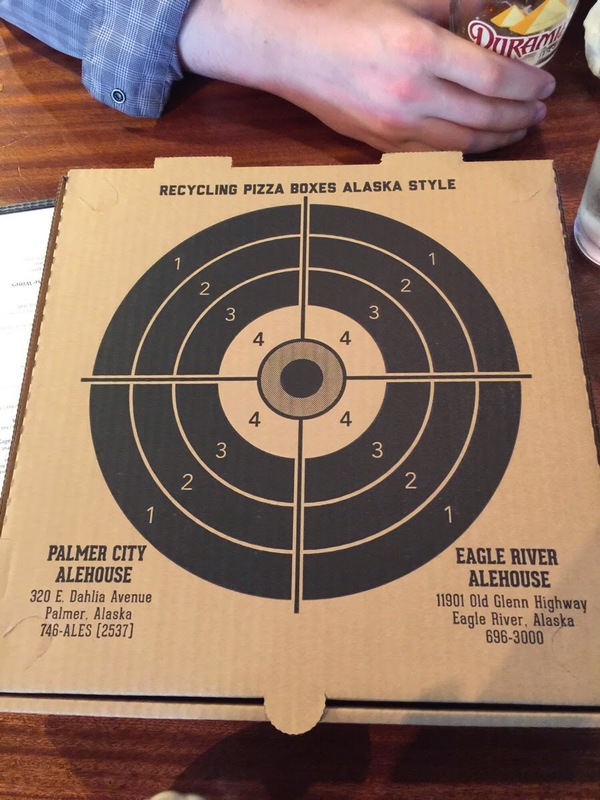 I've often seen used pizza delivery boxes used to hold targets at the range, but Palmer City Alehouse in Alaska makes their reuse even easier. Neat idea. And cardboard takes up much less room in the recycle bin if it's full of holes. H/T to Miguel at Gun Free Zone.